“Into The Woods” is an interesting idea, parodying and intermingling different fairytales, attempting to make them work together in one cohesive world. It has a lot of potential given the fact that Disney is at its helm, the cast is very impressive, and it draws on stories which are well known and well loved in the public sphere. However, this film doesn’t make the most of that potential, and although I haven’t seen the original work I would wager that it’s a lot more interesting than this muddled mess of a movie. “Into The Woods” suffers from strange pacing and an unclear tone, leading to moments of comedy which don’t hit their mark, a lacklustre story, and a confusing lack of direction. The film is about a baker (James Corden) and his wife (Emily Blunt) attempting to retrieve certain objects from the woods, so that an evil witch (Meryl Streep) will reverse a curse she has placed on the house of the baker. This curse disables the couple’s ability to conceive a child, so they are very keen to be rid of it, leading to all sorts of desperate high jinks involving other famous characters such as Rapunzel (MacKenzie Mauzy), Little Red Riding Hood (Lilla Crawford), and Prince Charming (Chris Pine). There’s nothing about the story which means that this movie can’t work, because it lends itself well to a theatrical production, and it sounds quite magical when you first hear about it, but the way this film utilises these factors is far from great. The tone is slightly strange, because at times it feels very dark but at other times it feels a bit like a joke. There’s one scene which felt particularly out of place in the movie, despite the fact that I did find it very funny, in which Cinderella’s (Anna Kendrick) step-sisters are forcibly held down as their feet are reshaped so that they will fit into Cinderella’s golden slipper. It isn’t a very family friendly moment, yet the movie is being sold to particular target audience. As I watched this movie I got the feeling that the filmmakers really didn’t know what they wanted it to be, and as a result it didn’t have one recurring tone or direction. The performances aren’t that bad, all things considered, and in fact I feel as though it’s the script, not the actors, which lets the movie down. Chris Pine was quite entertaining as Prince Charming, and he brought a sense of enjoyment to his role which was very refreshing. It seemed as though he was having a good time playing this cocky, self-assured, mess of a man, and it showed when he had his big moment singing ‘Agony’. Johnny Depp was fine for the few seconds that he was on screen, even if he was only doing the Johnny Depp thing, and Anna Kendrick was pretty good as Cinderella. Emily Blunt was as likeable as ever, and the best character of the whole film was Little Red Riding Hood, played by Lilla Crawford, an actress I have not previously come across. I think the actors do deserve some credit for how easily they took to the musical nature of the film, because none of them seemed to struggle to hold a note, and they did well to make the songs sound theatrical whilst keeping the film accessible for the children in the audience. However, the one performance which I would like to condemn and criticise as much as possible is Meryl Streep’s. She’s completely over the top, which many people might enjoy given the fact that this is an adaptation of a theatre production, but I feel that she was quite pathetic as the witch. Her performance was dull and clichéd, and she brought nothing to the role that we haven’t seen millions of times before. The film tried to be a different kind of musical, poking fun at its subject matter and making the audience have a chuckle, but Streep didn’t seem to get that memo. She wasn’t entertaining in any way, her singing was average and I couldn’t actually understand a lot of what she was saying while she sang. Furthermore, she conveyed no real emotion, and she made every scene she was in about herself, not so much stealing scenes from her co-stars, but spitting on them. I would’ve much preferred someone else to play the role, someone new who we haven’t seen in a musical before, but instead we get another Meryl Streep performance in which she tries to make the film all about her! There were a few interesting moments in the film, and I particularly enjoyed Cinderella’s indecisiveness, because given her upbringing and her experience of the world, things outside of her comfort zone would be very strange and scary for her. Prince Charming was also given a good twist because he’s a bit of a creep when you think about it, and that’s put across by this film in a refreshing and humorous way. However, most of the movie was quite predictable, and there wasn’t anything noteworthy about it. The movie started very quickly, pushing forward with its story and introducing a host of characters, but then it got stuck towards the end when attempting to put across a message about being careful what you say to children, dragging on with the extremely dull story of a vengeful giant. It was an odd film with no real purpose, and I feel that for this reason it’s a poorly executed adaptation. As I understand it the story and the tone have been changed slightly in the interpretation in order to fit with a younger audience and a PG rating, and I think that’s where the film has stumbled, which is a bit of a cardinal sin for any film adaptation. If the film had intended to be a lot darker than it was I think it would’ve worked, because some of the main characters do die, and they are also quite morally grey in their actions and their motives. (SPOILER ALERT) The ending of the movie gets decidedly gloomy, as the Baker’s Wife (Emily Blunt) dies quite suddenly and unexpectedly and so does Jack’s mother. I quite liked the fact that they went there and didn’t try to make the story too childish, but it didn’t really fit with the rest of the movie. The character’s didn’t react to their personal tragedies in even remotely believable ways because the film didn’t want to be too much of a downer for the young children who they had marketed the film towards. The fact that “Into The Woods” didn’t want to portray death in a realistic way really held it back, because the tone didn’t fit the dark story of the musical. For that reason I feel that the movie was let down by its marketing and the restrictions placed on it as it attempted to capture the source material. In attempting to adhere to the rules required in order to acquire a PG rating this movie became confused and lost any sense of identity or direction, making the film completely unrecognisable at the end credits from the film which had begun in the Baker’s house. On top of that, it wasn’t actually all that entertaining and I was quite bored by the end, so there’s not a lot of positives to take from a trip “Into The Woods”. There are a lot of different awards at The Oscars, and plenty of interesting topics for discussion. However, I don’t intend to cover them all, because frankly I don’t have much insight to offer into things like Sound Mixing or Costume Design. Therefore, I’m going to stick to the staples of the show, and hopefully get a few things right, whilst saying why I think that they’re probably wrong. There are a lot of good films in this category, but for me there are only two that are in the running to win the award. Those two movies are “Birdman” and “Boyhood”. Now, the fact that I think that one of these two movies will win the award does not mean that I agree that either one should, and in fact, I wouldn’t choose either of them to win. If this were completely up to me, (alas, it isn’t), the two films in the running would be “The Theory of Everything” and “Whiplash”, and ultimately “Whiplash” would come out victorious. However, taking my preferences out of the equation, I believe that “Boyhood” will win the award, simply because of the level of ambition involved in its creation, and the fact that the idea of shooting a movie across a twelve year time span didn’t completely fail. As far as movies go this one was a risk, and just to have finished it with a decent level of quality is probably enough for it to get the nod. If it were up to me we’d all be a lot less sentimental and more cutthroat about these decisions, but that isn’t how I think this will go. What I think will win – “Boyhood”. What I want to win – “Whiplash”. Again, I feel that there are only two real contenders for this award, and those people correspond to the films I previously mentioned. Richard Linklater (“Boyhood”), and Alejandro G. Inarritu (“Birdman”), are the only people in this category that I consider to have a chance at winning. I think that for this category that’s more than fair, because they both went above and beyond in order to create films that are as close to art as you can get, and they achieved a lot just by making passable movies. “Boyhood” was shot over 12 years and Linklater had to keep his actors motivated, as well as make sure that the movie felt as though it was progressing as time passed. Furthermore, he managed to basically teach a child actor the trade as time went on, which is an incredible undertaking, because if the boy couldn’t hold his own then the film would’ve been a disaster. Inarritu, on the other hand, created a film with incredible care and precision, making it feel as though you were really watching a person’s life fall apart in front of your eyes. He let us peek behind the curtain and see into the mind of an actor, and he also explored what it is to be successful in this world, questioning our existence through Riggan Thomson’s (Michael Keaton) quest for recognition. The movie was filmed as though it was one continuous shot and this was executed perfectly, which was quite amazing. So, those are the two options as far as I’m concerned, and actually I think that Linklater should win. If he does I’d like “Birdman” to win Best Picture, because I think for Inarritu and his team to not be recognised would be an absolute travesty. Who I think will win – Richard Linklater. Who I want to win – Richard Linklater. This category is as close to a sure thing as you can get at this kind of ceremony. If anyone other than Eddie Redmayne wins this award then frankly the whole thing will be a joke! His only competition is Michael Keaton, who admittedly was good in “Birdman”, but his performance in that film doesn’t hold a candle to Redmayne’s in “The Theory of Everything”. Redmayne’s performance was careful and moving, he made the movie what it was, and without him it simply wouldn’t have worked. He was playing a real person, so he had to be considerate in his performance and make sure not to offend, and he also had to maintain a contorted body position in some very emotional scenes, which he did, whilst delivering his lines perfectly. He did everything right, and at the end of the day his job was a lot more difficult than Keaton’s in “Birdman”. Keaton put his soul in front of the camera for “Birdman”, he gave it everything and he delivered in a big way, showing no shame. However, he could relate to the character and the world he was in, and he didn’t have to do anything special in the movie. By contrast, Redmayne was playing a character with a serious disease, that he doesn’t have, and he did so convincingly and powerfully. I personally don’t see how that isn’t more noteworthy and more impressive than anything that anyone in this category had to do. The only other person that gave a performance that was even close to Redmayne’s in the past year, in my opinion, was Jake Gyllenhaal in “Nightcrawler”, but he isn’t nominated so throw all your money on Eddie Redmayne for best leading man. Who I think will win – Eddie Redmayne. Who I want to win – Eddie Redmayne. This is a difficult category for me to comment on, because sadly I haven’t seen many of the films involved, and therefore I can’t appraise all of the performances. I loved Rosemund Pike in “Gone Girl”, I thought that she did the best job that she possibly could’ve done, and she made the movie a great experience for me. I chose “Gone Girl” as my favourite film of 2014, which shows just how good I think Pike’s performance was, because she was the key factor in making that film spectacular. As a result, I want Pike to win this award. I want the film to get some form of reward for being genuinely superb, because it deserves something more than mainstream popularity. It was an awesome film, and while we’re on the topic, I don’t see how “Gone Girl” isn’t better than “American Sniper”, or why Ben Affleck has been totally ignored in the discussion for Actor in a Leading Role. Nevertheless, I don’t think my wish will come true. Julianne Moore has been getting all the plaudits in the run-up to these awards, and I expect that to continue. I haven’t seen “Still Alice” yet, because it doesn’t hit cinemas in England till the beginning of March, so I’m not able to say whether or not I agree with Moore’s nomination. However, what I will say is that I tend to dislike her performances, so I will be intrigued to see the film and decide whether or not the praise is deserved. Who I think will win – Julianne Moore. Who I want to win – Rosemund Pike. This is another category which contains varying degrees of quality, and I certainly don’t think that it’s an even playing field for those involved in the discussion. There are two people that I believe have earned the right to be talked about… J. K. Simmons and Edward Norton. For me, Edward Norton gave the best performance in “Birdman”. He stole the show from Michael Keaton in every scene they shared, and the only reason that I’m not flying the flag for him to win this award is that he just doesn’t have enough screen time. His character isn’t developed enough to beat out his main opposition, because once he’s said his piece, Mike Shiner sort of disappears in “Birdman”. After a certain amount of time he’s no longer required to move the plot along, so his lines become less interesting and his time on screen becomes less frequent. On the other hand, J. K. Simmons is everything for “Whiplash”. Without his performance that film just wouldn’t be the same, and that’s the criteria by which I think this category should be judged. The movie was brilliant, and so was Miles Teller, but would it have been even half as good without Simmons as the sadistic conductor? I say no, and for that reason I think he deserves to win this award. In fact, I think he should be being considered in the Leading Role category, because he’s one of two leading men in that movie. If Steve Carell can be nominated as a leading actor in “Foxcatcher” then I think that Simmons definitely could have been for “Whiplash, however, that’s a debate for another day. For now I will simply say that J. K. Simmons should win, and I think he will. Who I think will win – J. K. Simmons. Who I want to win – J. K. Simmons. This is another award which I feel a bit out of synch with, because I haven’t seen all the films involved. I won’t linger for too long on why I think Emma Stone should win, because I don’t feel that she deserves to in an overly passionate way. I simply feel that she was one part of a wonderful movie, and that she performed her role perfectly. She was the mouthpiece for a lot of the interesting ideas in “Birdman”, and she stood toe-to-toe with some very good actors, who gave great performances. The reason that I don’t think I need to argue vehemently for my choice here is that the argument for Patricia Arquette can be made in much the same way. Furthermore, she’s a very capable actress and deserves her time in the limelight; I loved “Medium”, (till the very last episode! ), and she was a huge reason why. Therefore, I’m not going to soil her good name, and if she wins I will be very pleased for her. Who I think will win – Patricia Arquette. Who I want to win – Emma Stone. This is another frustratingly short discussion, because there’s only one film that has any real chance of winning. “How To Train Your Dragon 2” will win this award, I would wager a lot of money on that fact. Everyone loves it, it’s the safe choice, and it’s a family friendly movie. However, as far as I’m concerned it definitely shouldn’t win. “Big Hero 6” is amazing! It’s as good as it gets for an animated movie, it’s well written, visually stunning, the characters are rich and likeable, the villain is exciting and has a great hook, and all in all its just fantastic. I loved every minute of that film and I wish that more people would be talking about it. I badly want it to win, because accolades mean that people start to take notice, and this film deserves more of a following. That’s not to say that it doesn’t have a lot of fans already, but I think that everyone HAS to see this film. It’s incredible, and if there was any justice it would win (and it would face “The Lego Movie” as its main competitor)! Finally, on a related note, I’d like to give a special mention to “Feast”, which is an animated short film that was played before I saw “Big Hero 6”. Obviously, the Animated Short Film category isn’t one which I know much about, so I don’t want to say which film I think will win, but I really loved this film. It was beautiful and moving in such a short space of time, and it deserves recognition. The animation style was great, and Winston (the canine main character) was adorable. It was a lovely way to ease me into seeing “Big Hero 6”, and I enjoyed it very much. What I think will win – “How To Train Your Dragon 2”. What I want to win – “Big Hero 6”. How do you follow one of the most successful television programmes of all time? Well, you don’t. “Better Call Saul” doesn’t try to pick up where “Breaking Bad” left off, and it’s all the better for that fact. That’s not to say that this series won’t draw from the show that created it’s titular character, nor is it to say that we’ll never catch a glimpse of Saul (Bob Odenkirk) after Walter White (Bryan Cranston), on the contrary, that’s how the season begins! However, the reason why I think this series will be a success, critically and commercially, is that it is telling us more about a beloved character that we’d like to get to know better. From what I’ve seen so far I would say that it is doing this in an interesting and intelligent way, because it has the creative power of some of those involved in creating one of the greatest pieces of television ever at its helm, as well as a welcome shift in tone when compared to “Breaking Bad”. This series has the potential to be both comedic and serious at certain points, and if it can blend the two together in the right way, we could have something special. The first episode, “Uno”, gives us a small insight into what life is like for Saul following his dealings with Walter White. It’s a great way to start the series because there’s no getting away from the fact that this is where Saul comes from; so why not embrace it? This opening also gets those who loved “Breaking Bad” on board immediately, because they will hope to get more insight in the episodes to come, and it reminds them where the character will ultimately end up. This generates intrigue, and keeps the audience coming back for more, because we really have no clue why Jimmy became Saul, so it will be exciting to see him develop into the character we all know and love. There’s also bound to be some tragedy, we all know it, so the series is promising you action from its very first moment, even though that moment is a quiet, bleak, black-and-white scene, much like Saul’s life at that point. Immediately after this great beginning, we are reminded of the character that we tuned in to see, the man who we will be rooting for in the episodes to come. “Jimmy” (A.K.A Saul) is introduced as a lawyer who is willing to defend any client by any means in order to get his pay cheque, so while there is room for development, he’s still the guy that everyone wanted to see. This is another fantastic scene, because although we know that Jimmy is spouting nonsense to the jury, just from the type of person that he is, we are all desperately waiting to find out just how crazy a story he’s telling. This predictable character trait could potentially have produced fear in the audience, because we might have expected some sort of cheesy reveal to follow, that actually these boys were the most pure form of evil there could possibly be, just like Walter White was at his worst, but instead what they were doing, while horrific, was hilarious in the context of the show. The comedic tendencies of the series were established immediately by this scene, but the audience was also made aware that much like “Breaking Bad”, things might get grizzly when the time comes. I could go through each scene and say why they worked, because they all seemed so carefully thought out, and the episode itself was really well structured. In what followed from the scene I just mentioned, Saul’s relationships in the show were established, his character was shown to be just as conniving as always, and we were re-introduced to two great characters from “Breaking Bad”. All that in the space of an hour, and whilst the episode was slow, it was still as entertaining as we could’ve hoped for, considering the fact that a lot of world-building and character development had to go on. As a character, Saul was the comic relief in “Breaking Bad”, but he still had a lot of depth and he was clearly more than a puppet for Walter White. He was intelligent, thoughtful and pragmatic, and that’s exactly what we see from Jimmy in this episode. Of all the characters at the heart of “Breaking Bad”, Saul was easily the most likeable, even more so than Jesse (Aaron Paul), so it’s great to see him get his own shot at the limelight. Saul was a great choice of character for further development, because for all his personality and charisma, we never really knew anything about who he was, or what had led him to be that person. The most challenging aspect of getting this show right will be in maintaining a sort of backwards continuity with “Breaking Bad”, because Jimmy has to carry the spirit of Saul in his performance, but to have a meaningful character arc he also has to be a lesser man. He needs to grow and become the great character we know, which will be incredibly hard to do when this show needs to stay compelling week in week out, but from what I’ve seen so far I believe that the show runners can do it. Jimmy is less confident than Saul, less self-assured, and he clearly has a lot of doubt. However, that doesn’t take away from his character, it simply makes him seem a bit more human. Now that we are seeing Saul outside of his element, we finally get to understand how he really feels about who he is, and we are starting to get a feel for what motivates him. He’s desperate for success and to be better than those around him, and it hurts him when he isn’t achieving; from this we come to see just why he helped Walter White for so long, and why he constantly put himself at risk, which is a wonderful thing. I didn’t think that “Breaking Bad” could get better, but this series feels as though it will enhance the show, because it’s making one of its main characters feel more real, and explaining what makes him tick. Fans of “Breaking Bad” and of this character have been waiting for this season to start for a long time, I know I have, and I feel it was worth the wait. 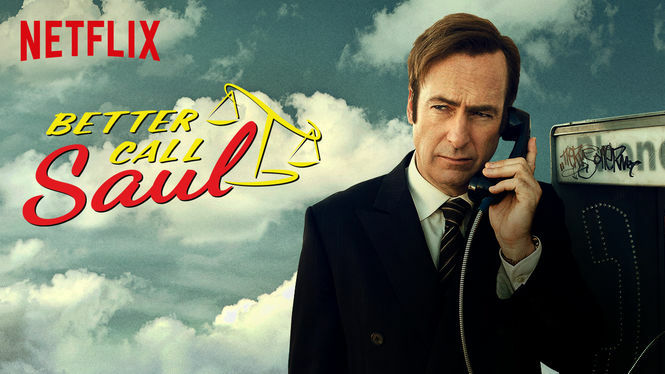 There was enough there to make me believe that “Better Call Saul” will have a level of quality that is more than worth my time, and Bob Odenkirk reprised his role with ease and confidence. I hope that this series can live up to what has come before it, but in all honesty that’s incredibly unlikely, so all that fans can ask for is an entertaining piece of television which gives further insight into the character. I believe that this show will succeed on both those points, and I am looking forward to next week when I can get my latest fix. “Better Call Saul” has incredible potential as both a character study and a narrative, and it has all the right people involved to be amazing. It has the scope to be both dramatic and comedic, and because of the nature of the character and the people he will inevitably have to deal with, the tone of the show can turn in an instant, keeping the audience on the edge of their seat. The fact that Netflix is holding its episodes back like a traditional television series only enhances the experience for me, and by the end of the first episode I was dying to see the next one. Nothing is set in stone, the series could still turn out to be a complete flop, but from what I have seen so far I have confidence that this will be a great show, and I am hopeful for something special. “The Woman In Black” was a great; I like Daniel Radcliffe as an actor, and I think that he fit that film perfectly. Furthermore, I find the story genuinely interesting, because there’s something truly unsettling about any horror movie involving the death of children, and you feel a sense of sympathy for the villain of the piece which is sadly missing in almost every other film in this genre. The idea of seeing a ghost is something which terrifies almost everyone on its own, but the fact that seeing the Woman in Black invariably leads to the death of a child makes seeing her truly chilling. Therefore, I was quite excited when I heard that a sequel was in the making, even though I knew that Radcliffe wouldn’t be returning. This film doesn’t really build on its predecessor, which is a shame, and in fact it takes a step back, but for me that was to be expected and is completely understandable. This movie doesn’t have the star power of the first film driving it forward, and we’ve already come into contact with the fabled titular character, whose appearance made the first film so frightening, so this movie was never going to go above and beyond the original. “The Woman In Black: Angel of Death” is unable to generate the same level of tension as the original, because it doesn’t have the same feeling of isolation that that movie had, given the fact that there is a group of people living at Eel Marsh House this time around, rather than one vulnerable man. Nevertheless, I wouldn’t say that it is a ‘bad’ film as such, it just doesn’t have the scares needed to create a compelling horror experience, and if I’m being honest, the story probably didn’t need to be told. This movie takes place in the middle of World War II, and it uses this era as the basis of its plot, as a group of schoolchildren are evacuated in order to avoid the Blitz, accompanied by the school’s headmistress and the main character of the film, Eve Parkins (Phoebe Fox). I believe that Parkins was meant to be either a teacher at the school, or something of that variety, although I was never clear on what her role was with the children. The plot is moved forward by Edward (Oaklee Pendergast), a young boy who loses his parents the night before the evacuation. In true horror movie fashion, this loss leads to an unfortunate and creepy consequence, namely that Edward refuses to talk to anyone. He’s traumatised by the loss of his mother and therefore he decides the best course of action is to keep his feelings locked up inside, writing anything he wishes to say down on pieces of paper. It’s understandable that he would react this way as a child, but I still feel like this is a bit of a Get Out of Jail Free card in a horror movie, forced conveniently into the story in order to generate cheap, easy scares. Edward, Eve, and the others, end up at Eel Marsh House, home of the Woman in Black, and from then onwards things can only get worse for the group. It’s a predictable enough story, and there’s nothing new or groundbreaking here, but I still enjoy these kinds of tales. It feels like a classic story that belongs in the time period within which it is set, and even though it’s a bit of a copout, it’s a copout that I take as a guilty pleasure. If you strip it to its basic form, this is just a story about a group of people going to spend some time in a cabin in the woods, it’s just that the cabin is rather large, and the woods are more of a swamp. The story didn’t really put me off as such, because although it wasn’t anything special, with the right kind of scares and a reasonable amount of attention to detail it could’ve been an interesting premise. However, the acting in “The Woman In Black: Angel of Death” was far from amazing, and brought the standard of the film down to a B-movie like level. I felt nothing for any of the adult characters, because they didn’t feel real or alive, and I was acutely aware that I was watching a movie. Horror movies rarely have great performances, (which I personally think is a massive shame, because this genre of film could do with some quality performances to make everything feel that bit more engaging), but when the characters are stupid college kids or irresponsible parents, it’s okay, because the performances fit with the ridiculous horror movie logic. However, in this movie the poor performances really do take away from the fear that the audience feels, because the setting and the era don’t feel ridiculous or over the top, they feels sophisticated and grounded in reality, and therefore require acting that can keep the audience in that world (especially when not a lot is happening on screen). This is a minimalistic movie, in that you don’t see a lot of the Woman in Black, and there aren’t a lot of thrilling moments to keep the audience involved, so when a young actress like Phoebe Fox is asked to carry the movie with her performance, you have to worry. I think she did her best, and she wasn’t terrible, but she just wasn’t quite at the level she needed to be in order to make this film a success (in terms of quality). She doesn’t really portray the inner conflict which the character is supposed to be feeling, nor does she express a real understanding of her character. She doesn’t convey the fear and anxiety that her character would be feeling to the audience, and she isn’t nearly expressive enough, meaning that Eve seems all too ready to accept the existence of ghosts, and is more than happy to panic the children. Probably my favourite thing about the movie was the set design, which partly benefits from the setting itself. Eel Marsh House is a wonderful location for a horror movie, with boggy ground surrounding the only escape route, empty rooms and dark hallways filled with sinister toys, it really is quite perfect. This film doesn’t explore its location nearly enough, but when it does there are interesting objects to look at, which create an impressive ambiance, and I was impressed with the way in which these artefacts were carefully placed around the actors, creating ugly and interesting shadows. It’s nice to get a sense that the filmmakers understand what they have with this setting, because it shows that there were at least some intelligent decisions being made for the sake of atmosphere, and that some effort was made to make a good film, even if the end product wasn’t brilliant. I also appreciated that the film wasn’t bogged down by a CGI ghost roaming the halls and doing ridiculous things. That was my biggest worry going into the film; the idea that we’d suddenly see an artificially generated woman flying around, dragging children by their hair, screeching to create jump scares. We’ve seen that type of thing before in “The Conjuring”, and it brought that movie down for me, so I’m glad that we were spared that type of monstrosity in this film. Nevertheless, I still feel that there was an element of idiocy regarding how the Woman in Black looked in this film, and also feel that the character was somewhat underutilised. I’ve seen “The Woman In Black” at the theatre in London, and I have to say that it was genuinely terrifying. The makeup on the actress’ face was harrowing, and watching her slowly and quietly move around the stage behind the actors was both distressing and disconcerting. I believe that an actress that has played the role of the Woman in Black in a reputable theatre production would’ve been the perfect choice in this movie, and would’ve been ten times as scary as the ghost actually was, because although the CGI wasn’t heavy-handed, it was still there and still distracting. “The Woman In Black : Angel of Death” isn’t fantastic, in fact it has a distinctly amateur feel to it, but I didn’t feel cheated by the filmmakers when I left the cinema. Although the film lacks a bit of substance, due to poor performances and a dull story, I do feel that there was a decent attempt being made to create a horror movie that wasn’t over the top, which tried to focus on atmosphere rather than jump scare after jump scare. The wonderful setting and sinister titular character carry this film to heights that it probably doesn’t deserve to reach, but it still doesn’t manage to do anything special, and it isn’t worth watching unless you’re with a group of friends on a stormy night, with nothing better to do.